Life can slip on past you real fast. You can get so caught up in present moment challenges and the future goals that you forget where you have come from. You fail to see all you have achieved because you’re so focused on what is left to come. I love how travel humbles me. I sit under a starry sky and I can’t help but feel small. I’m no more or less important than the stars. I am but a tiny speck, and yet that speck is part of something so magnificent. That humility replaces the hustle and allows me pause to reflect. April has always been the month of life changing moments for me. I don’t know what it is about April, but I love it. I was allowing this month to speed away from me without pausing to reflect on where I am and how far I’ve come. 19 years ago in April, I started dating Craig. And 9 years ago in April, we started this travel blog, which has completely changed our life for the better. Boy has this travel blogging thing humbled me. It’s helped me grow, serve, and give out better energy to the world. I can’t believe the hustle almost made me forget where I’ve come from and all this magnificent month of April has given me. And I can’t wait to see what other miracles are in store for me for every April that is left to come and for every starry night I get to revel in the small and largeness of life. This week 19 wrap up of our USA road trip shares our adventures from Saturday to Friday. 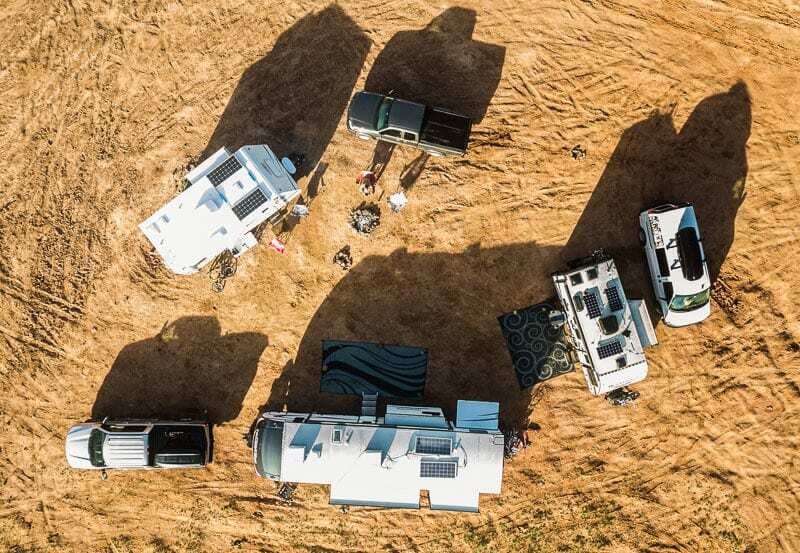 There was hustle this week in sorting out our solar and boondocking situation and ironing out all the kinks. Did you hear me say ALL the kinks? Living your dream life takes a lot of Moxy. There were also many quiet moments as we sat around the campfire laughing and chatting with friends, playing dominoes till midnight, and enjoying stunning scenery from Goldie’s windows. About an hour north of Monument Valley is this gorgeous area called Valley of the Gods. 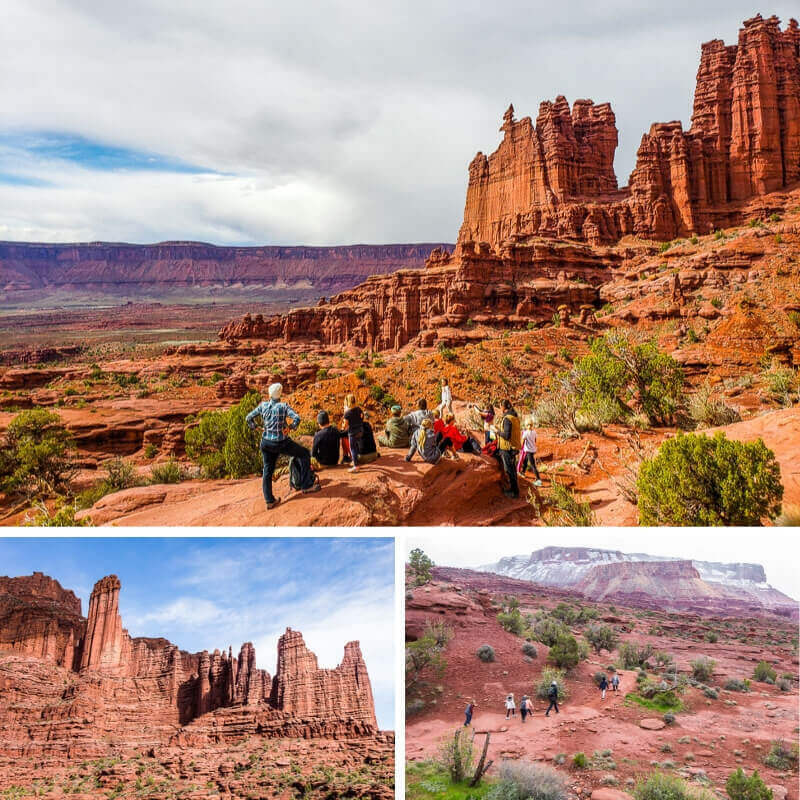 With its isolated buttes, towering pinnacles and wide open spaces it’s quite similar to Monument Valley. We found a little nook off the side of the road to free camp for a couple of nights. It would have been longer had we’d been able to get internet connection – two days offline was all any of us can manage. We are traveling with two other families, and all of us work online. It’s nice to travel with people who understand your needs and challenges. It was a stunning spot and besides resting around camp and enjoying campfires we did the following. 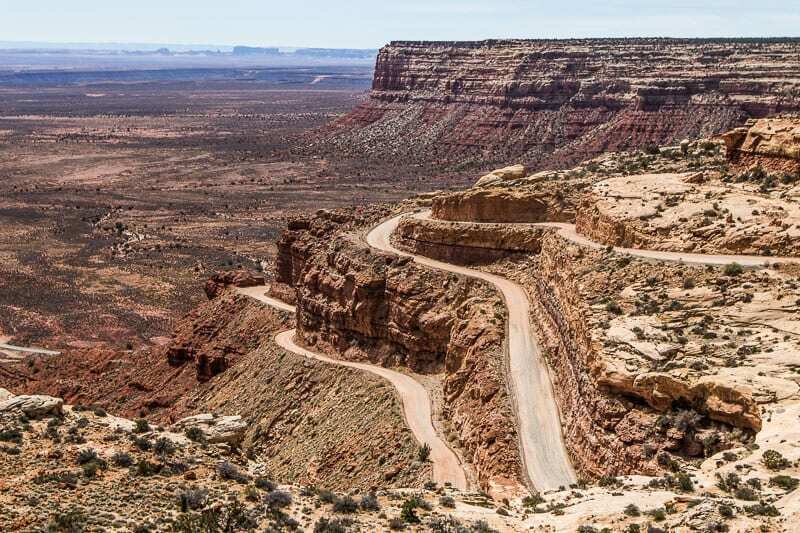 There is a 15-mile loop road through the Valley of the God which involves a few hills, washes and bumpy dirt roads. 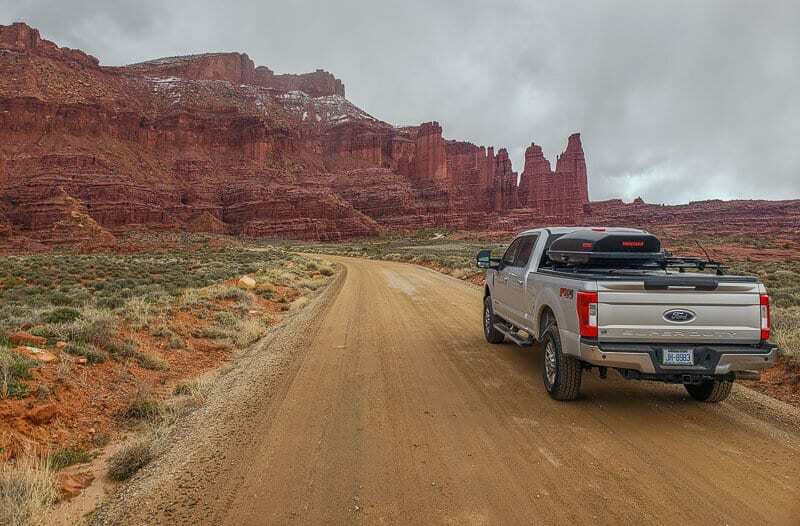 It adds to the adventure and the beauty of this drive. 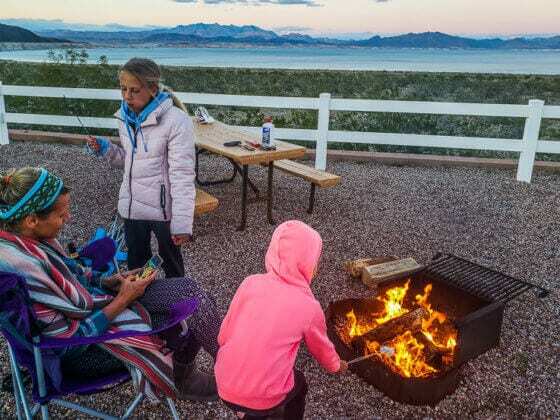 There are loads of free camping spots, but you are better entering from the east side, as the west could be pretty tough for some RVs to get through on that road. The colors and rock formations are stunning. there are no real hiking trails here, which I actually enjoyed for a change. We decided to visit the nearby Natural Bridges Monument which ended up being 45 miles away. It was so worth it though, especially the incredible drive up the escarpment via a bunch of very tight switchbacks which was a thrill we weren’t expecting. Just another reason to love Utah. 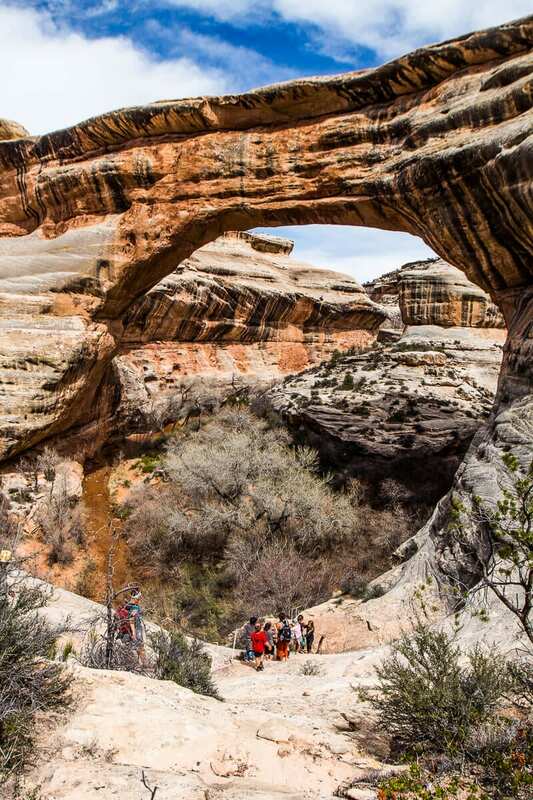 Natural Bridges Monument has three natural bridges, “Kachina,” “Owachomo” and “Sipapu charged by water. You can visit by way of a 9-mile scenic drive with view points. Or, you can hike down to each one. 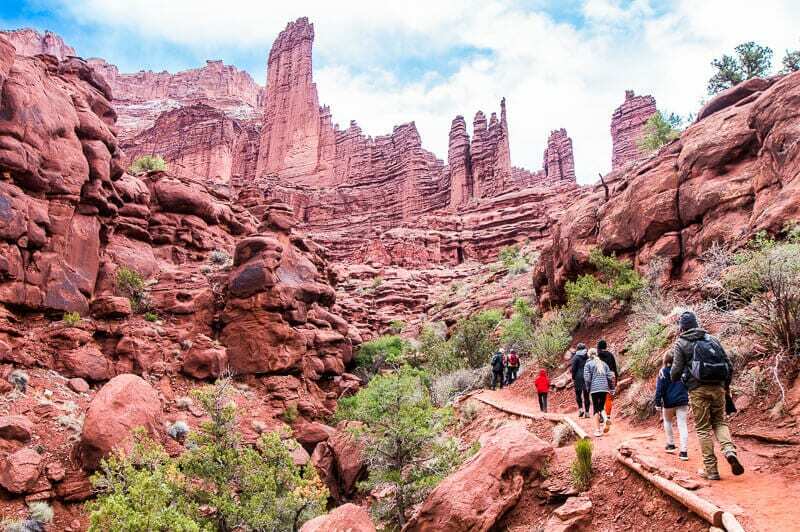 There is a loop walk (10 miles) you can do that connects each natural bridge. That’s one to come back for, perhaps a bit too much with the kids. 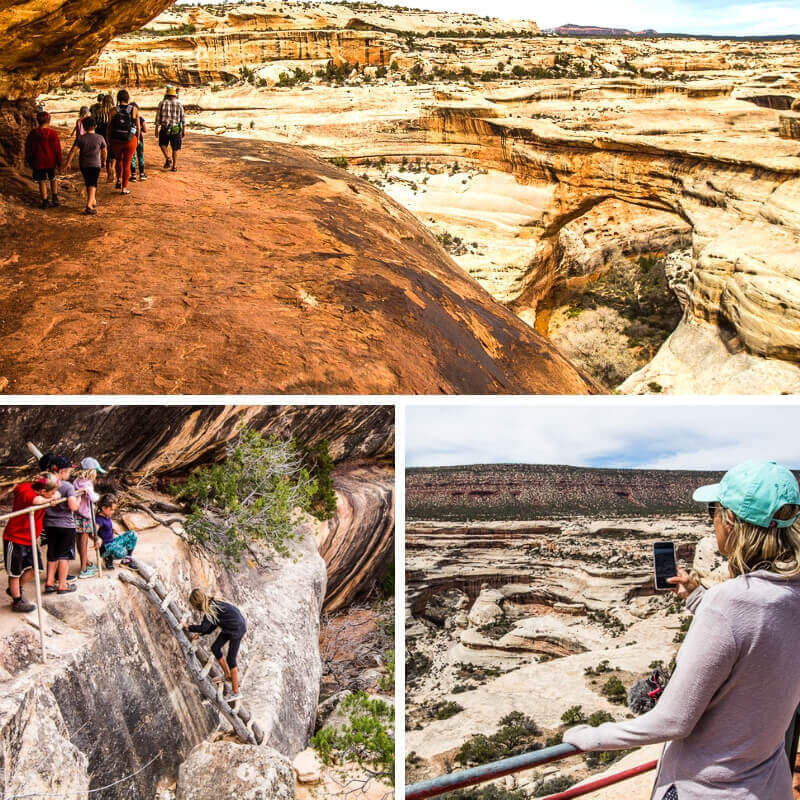 We hiked down into the canyon to Sipapu bridge, which was a short adventurous hike that involved a few ladders and plenty of views along the way. Pack your picnic and eat under the shade of the bridge by the river. 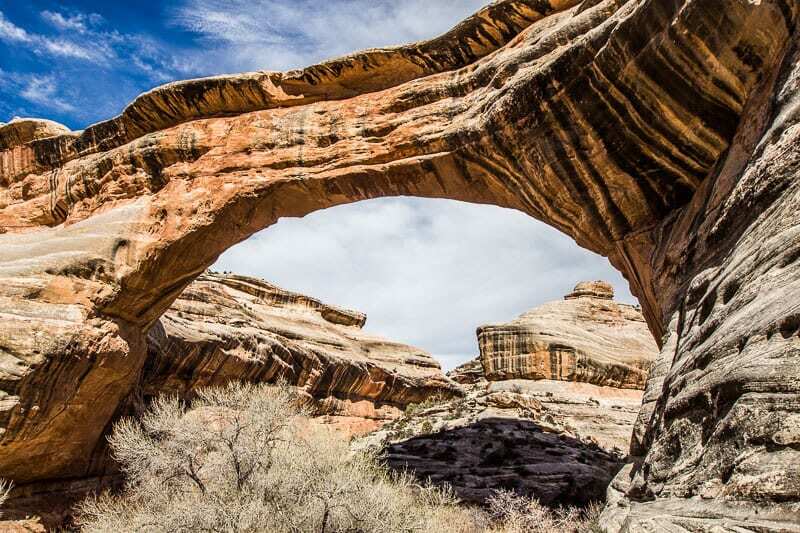 Sipapu Bridge is the second largest natural bridge in the world and in Hopi mythology Sipapu means the gateway entryway their ancestors came into this world. 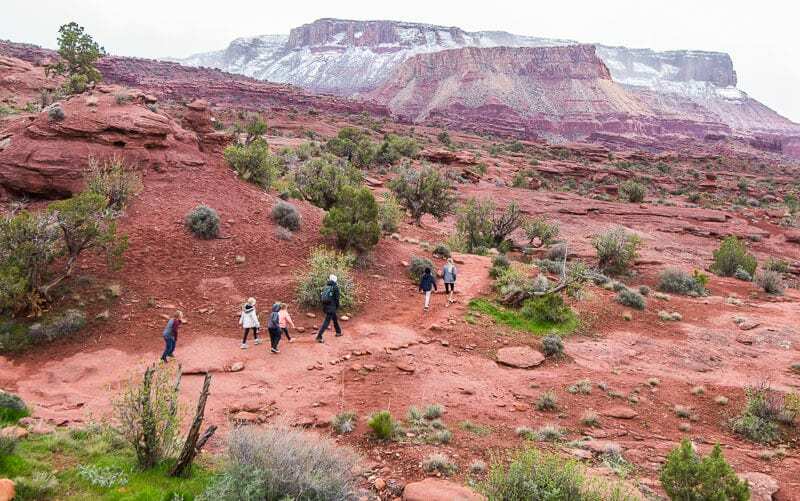 We changed our plans at the last minute to bypass Capitol Reef and head to Moab. 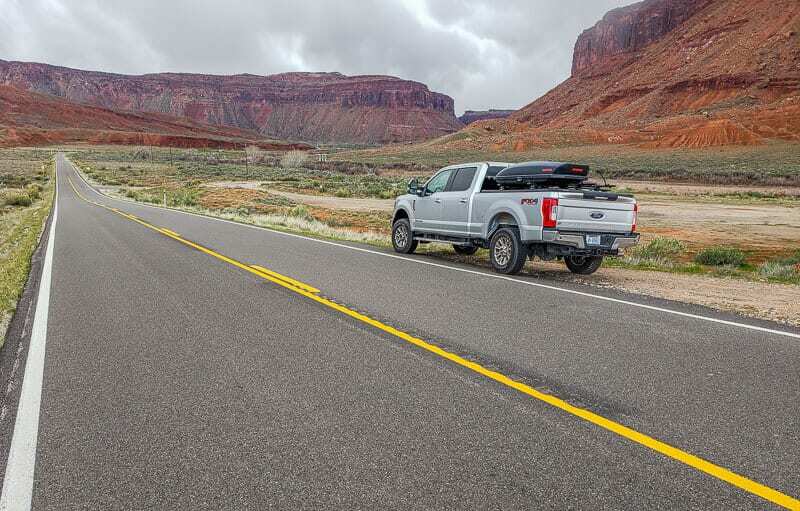 Our adventure to Natural Bridges showed us we could not take our travel trailers on that road, which meant a long detour pretty much through Moab to Capitol Reef, an area that would not have WIFI and was just too cold. 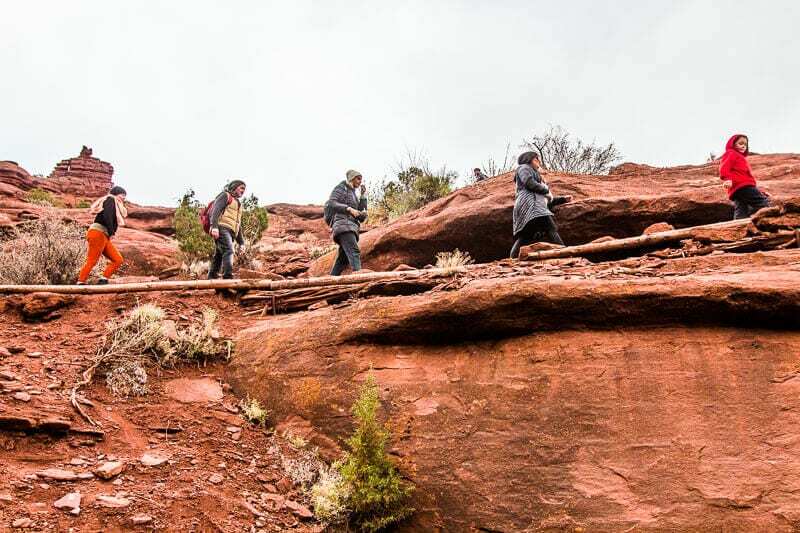 It was cold enough in Moab – yep so cold, we even had snow flurries, I’m DYING for some warmth. 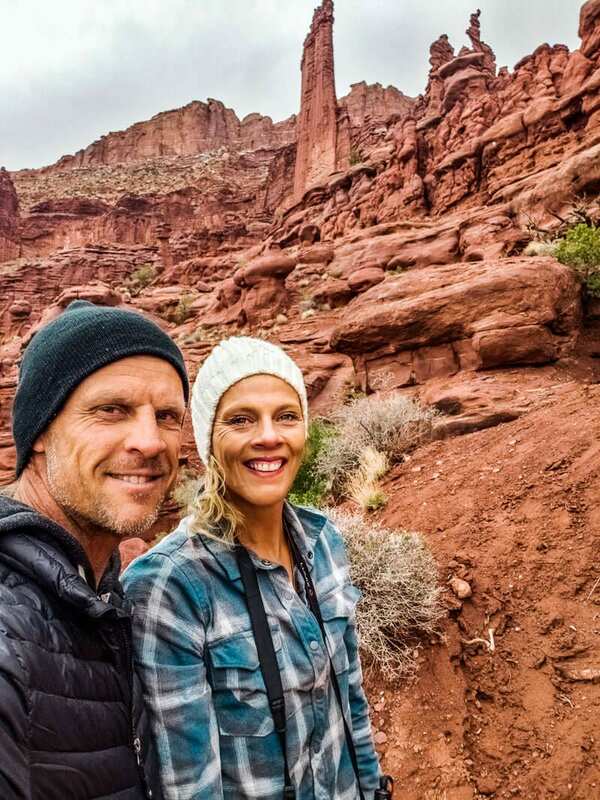 We had a day in Moab that was warm before the chill returned. I do feel like crying about it sometimes. The torture of having no control over what you yearn for most. 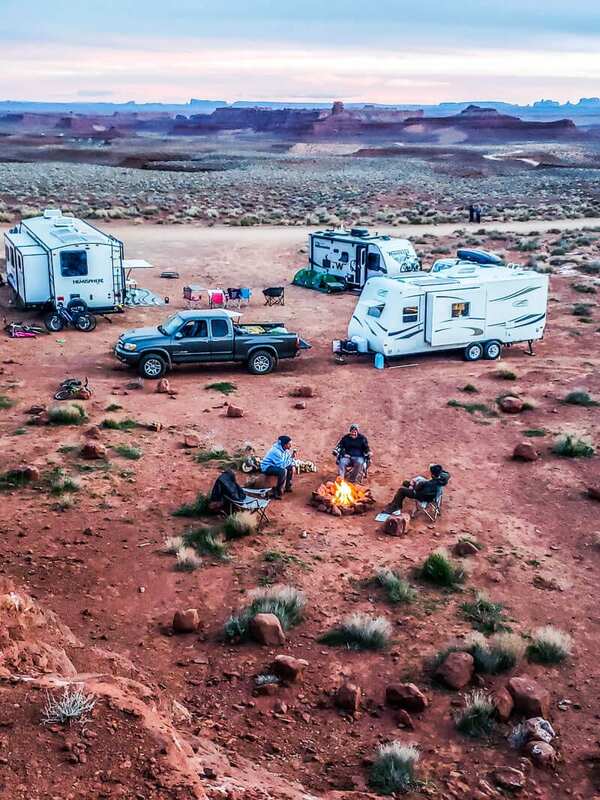 So we’re going to be in Moab for about two weeks. 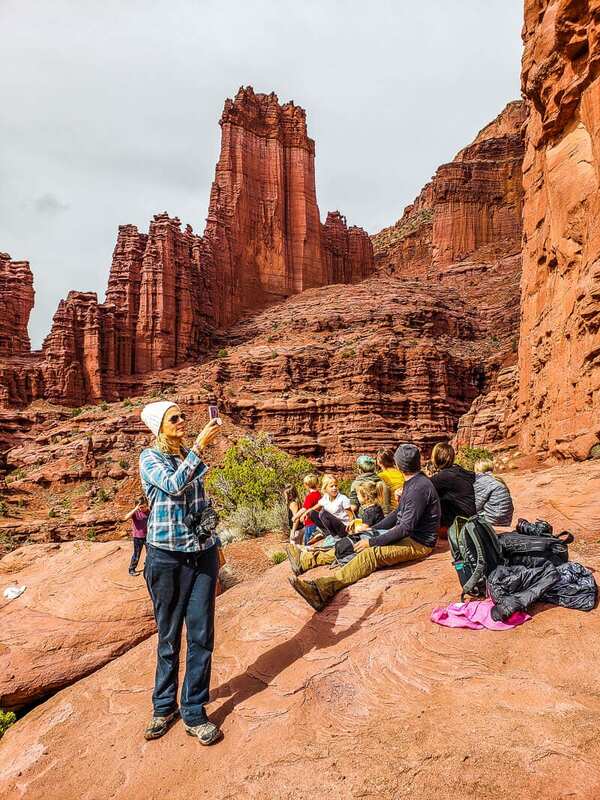 There is LOADS to do in the area, including two National Parks, Arches and Canyonlands. I quite like the vibe of the town and there is a ton of boondocking (free camping) space. Plus, there is a Fulltime Families rally, which our friends are members of, and we joined yesterday. So basically it’s a gathering of families traveling full time around the US in RV’s. It will be fun to meet other families like us. I kinda felt like a fraud because we don’t intend on living full time on the road forever. Only for a year. However, we have pretty much been a full time family now for 6 years. Oh boy I’m tired writing that. But, oh so much joy. We had a couple of days holed up in our vans camping just outside Arches National Park as it was raining and FREEZING!! The kids have been having a blast playing together. There are eight kids in total now and they all get along so well. I love how creative and imaginative they are with their games and they rarely jump on the devices! Yay. 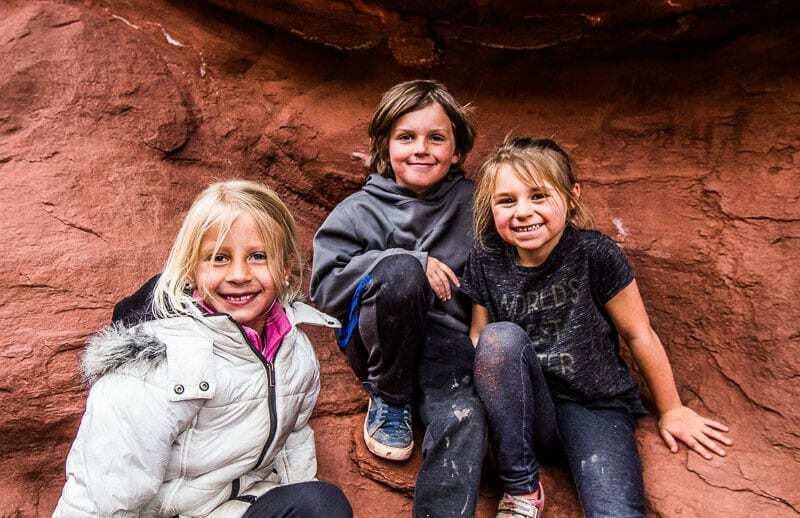 We all joined the local Aquatic Center in Moab with a month membership, and have already made our money’s worth with three visits. There’s a diving board, waterslide and climbing floats every two weeks. Plus a gym, free Wi-Fi and showers. The kids swim and have fun while we either join them or do some work. We also had a fun group dominoes game, which is to be continued and many campfires. And a few too many sips (once was enough for me) of Santa’s Alaskan whisky. One of our neighbors at our boondocking spot welcomed us in with a bear hug and some peach crown Royal. Oh boy! 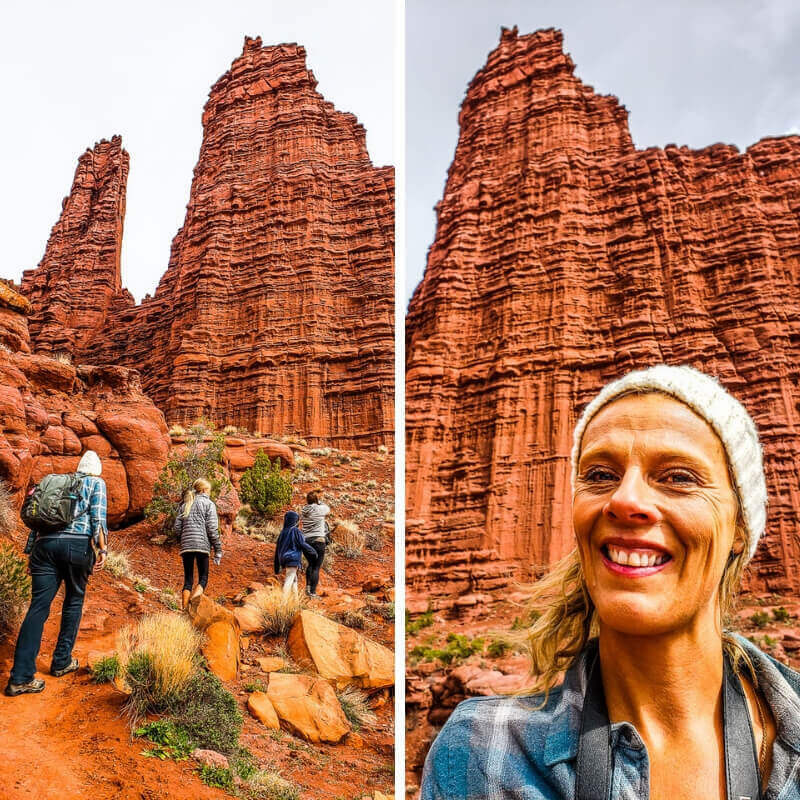 We did go for a beautiful scenic drive along the Colorado River to Fishers Towers, which is a 4.4 mile return hike through rocky terrain, gullies and hoodoo spires and towering cliffs. This area has been featured in many movies including mission Impossible and Geronimo. We didn’t go the entire way but loved getting out in the sunshine trying to break through and stretching the legs. The views over the valley were so rewarding. We stopped off at Castle Creek Winery for a little wine tasting on the way back. Only Bryanna and I went as kids aren’t allowed near the bar, and Bryanna’s sister, Megan forgot her ID. She couldn’t even stand by and watch. Utah has really strict drinking laws. It’s the only thing I don’t like about the state. But, each to their own. If everywhere was the same, we’d have nothing to write about. There are only three wineries in the entire state and this one was the first. In case you didn’t know, Utah is a Mormon State and typically they don’t drink which is why the laws are strict. Getting packages sent to you on the road, especially while boondocking is a problem. We can get it sent to the local FedEx store, but it costs $5 a packet. This can be pretty expensive when you have to get parts sent out for your RV repairs and Amazon sends them all in separate small packages. It think the store could charge $5 per pickup. I’m not a fan of Chromebooks! We purchased two for the girls through Verizon (as work backups for us and a way to get extra data). We just had to get Savannah’s replaced as it wouldn’t connect to her data, and Kalyra’s screen has already broken and we’re waiting on her replacement. I also don’t appreciate Verizon at the moment. As we’re fixated on water conservation, showers are spaced out through the week! We can have quick ones in our shower, as long as we know water is nearby that we can easily get to refill with.We bought these 6 gallon water jugs that help us do that. We also have to get creative, like join a pool membership so we can use their showers. Check gas stations for free dumping and water. We’re so grateful the gas station in Moab does. It’s a little chaotic as many people are taking advantage of it, but it makes life easier and saves us money. Although if busy, it can take 30 mins to an hour to get it done. Have spare water bottles when free camping that you can easily top up at public water fountains and refilling stations. Use that water to put into your water filter (we use a Berkey). Then use that water for drinking etc. That saves the water in your RV tanks for the faucet musts like washing up. It drives me crazy not having access to water through the faucet. I tell you, the things you take for granted in a normal housebound life. We joined Harvest Host this week. 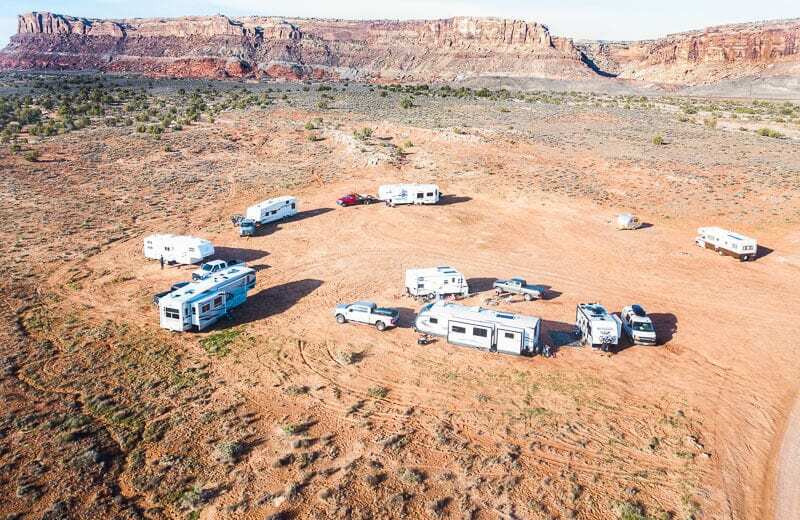 It’s a boondocking membership site. You pay only around $100 a year which gives you access to wineries, breweries, museums and golf courses (top membership level) around the country to camp for free. There is an expectation you’ll purchase something from the local small business. We are okay with it as we like supporting local business and we drink wine anyway, so why not do it in exchange for a free night’s stay!! Plus, what a cool experience staying on unique properties like this. Click here to learn more (If you join through that link, you’ll get a 15% discount). 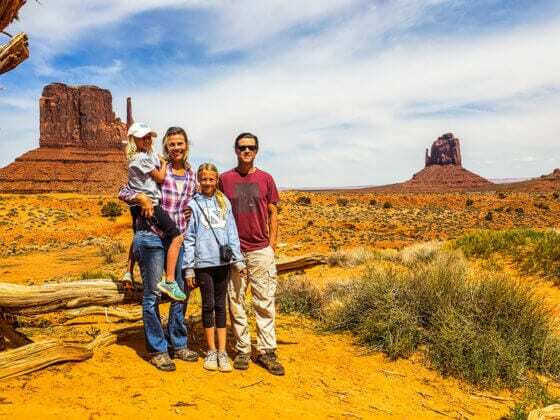 Fulltime Families is a great membership site if you want to connect with other like minded travelers and learn more about getting started, managing and enjoying life on the road with your kids. We joined it yesterday. Check it out here. Campfire chats with friends is essential to a good life. Our conversations have given me much to think of from the meaning of happiness and joy, to hustle and humility, to living a good purposeful life and contemplating ways to stand up and out and help more women create amazing lives. Let’s see where this goes. I’m going to do my best to share more on my personal Instagram (@CarolineMakepeace) and will one day in the future, start blogging regularly on CarolineMakepeace.com – my current lifestyle is preventing me on making a firm commitment to that one. 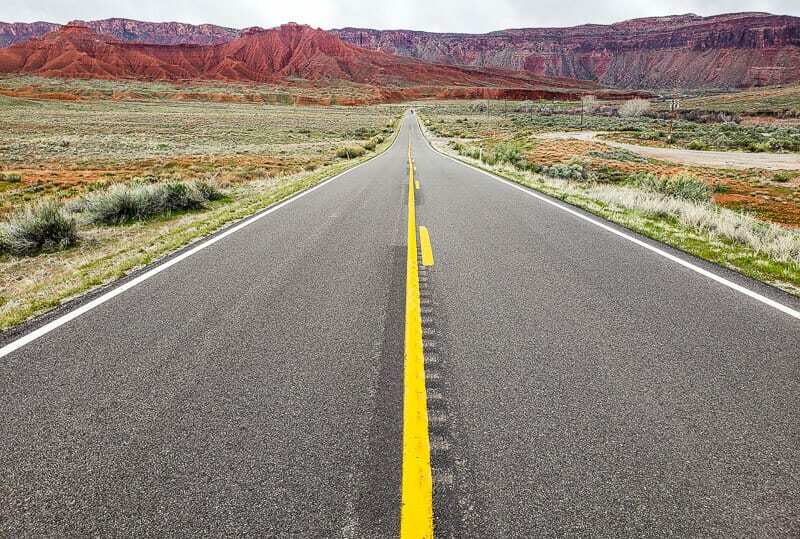 We LOVED the expansive views we had all the way back to Monument Valley where we had just come from. 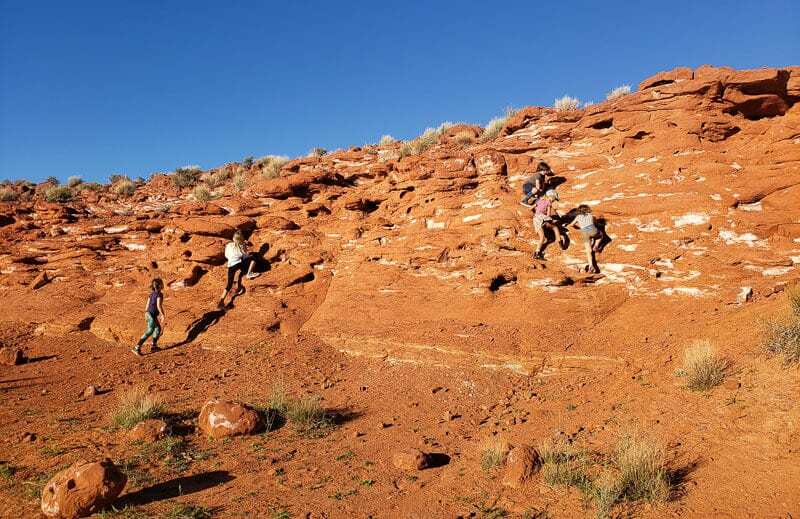 The rocky cliffs surrounding us made the perfect playground for the kids. 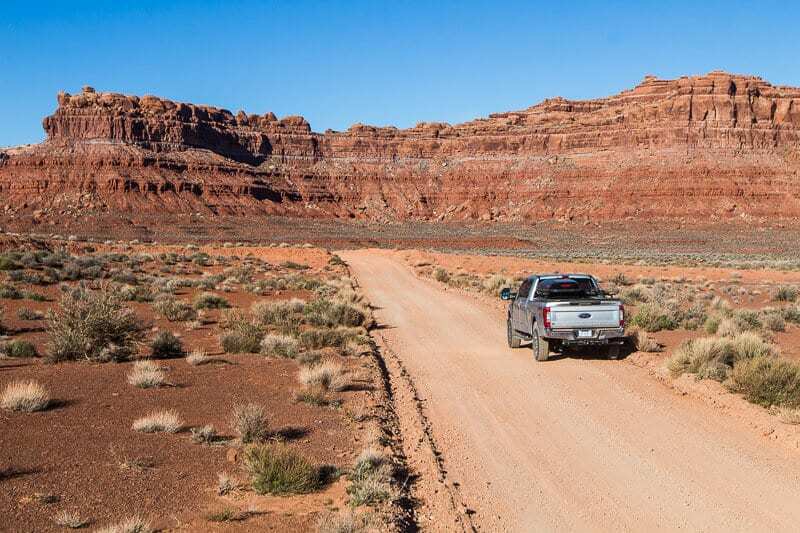 The town of Mexican Hat is about 20 minutes away,although it’s a tiny town so you won’t find too much. 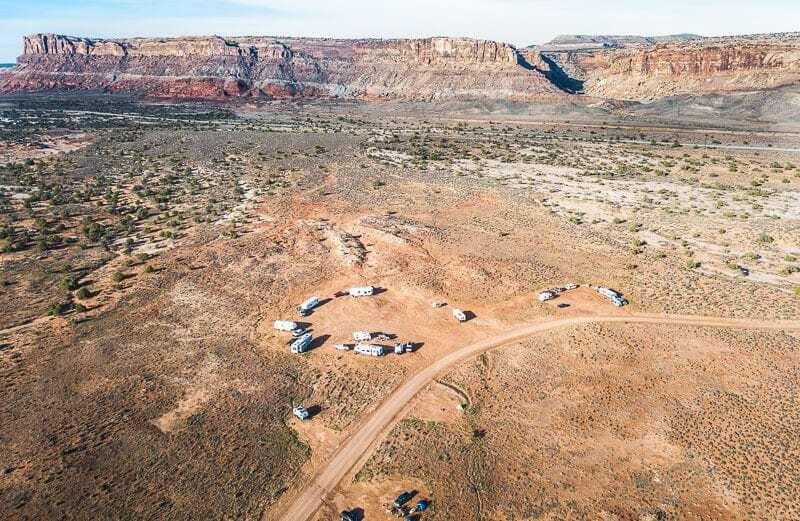 You’ll have to be completely self sufficient to stay here and there will be no internet (mostly). This one was a bumpy area due to recent rain and hardening of the clay. But we had an awesome spot we circled our vans around with gorgeous views of the snow capped mountains behind us. 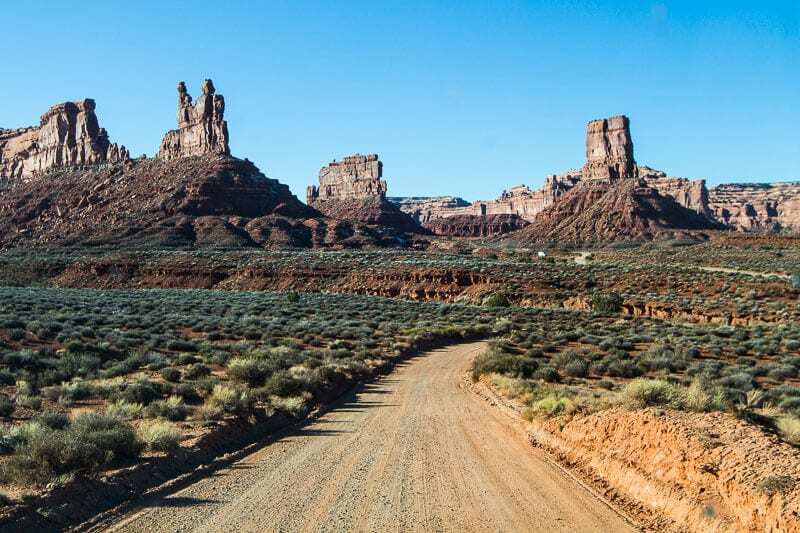 It was right on the doorstep of Arches and Canyonlands National Park which we haven’t visited yet, and only a 20 minute drive into the town of Moab. And we could get Verizon internet service, although a bit patchy. Natural Bridges would have cost us $20 for a 7-day pass. We have a National Parks Pass which gives unlimited access to federal lands. It costs $80 a year. It’s absolutely worth it for a trip like ours and saves us hundreds of dollars. I’m so frustrated that our weekly expenses are still so high even though we are not paying for accommodation. We are still purchasing supplies to fix our RV which adds to our costs and will hopefully be the last lot. Plus, a couple of membership costs ramped up the total weekly costs and are just one offs. Of course, being near civilization means we do spend more on coffee and eating out. Next week should be better!! At least we’re under budget. 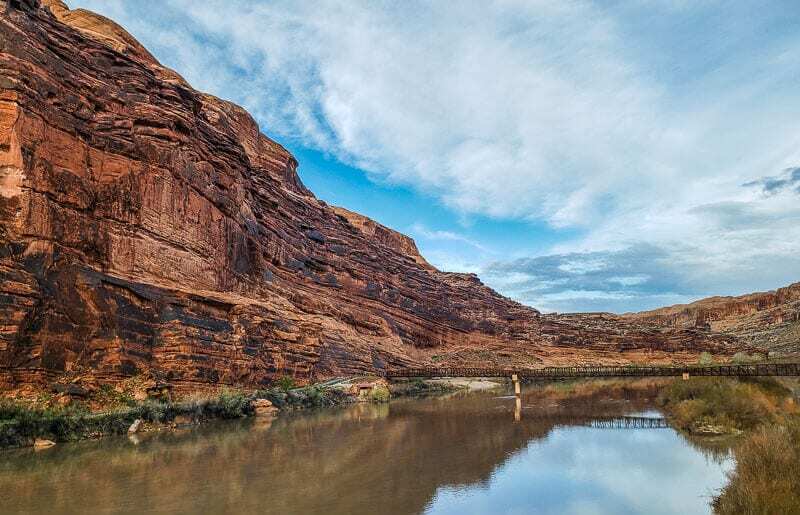 We’ll be here in Moab this week. 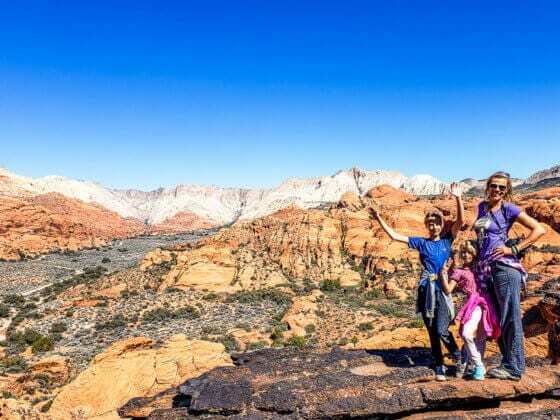 The plans are to enjoy this full time families rally, and explore Arches National Park, Canyonlands National Park, and Dead Horse State Park. And we’ll just be slow pacing life. 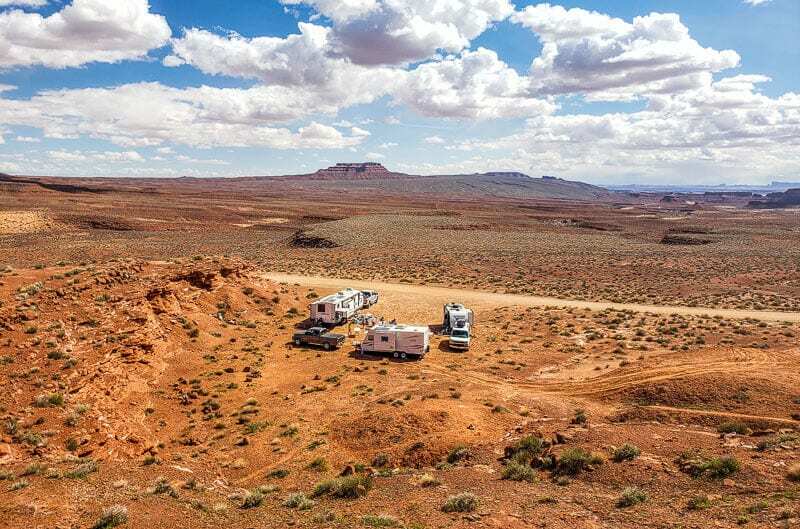 RV maintenance, work and play.